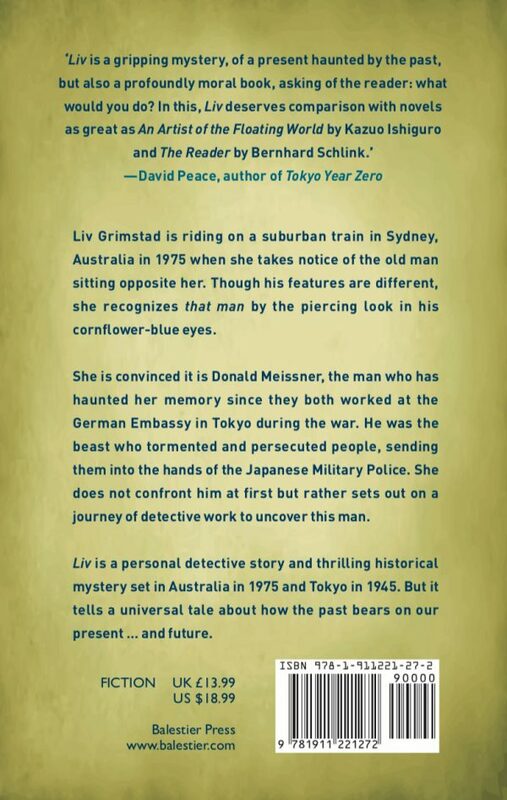 Liv Grimstad is riding on a suburban train in Sydney, Australia in 1975 when she takes notice of the old man sitting opposite her. Though his features are different, she recognizes that man by the piercing look in his cornflower-blue eyes. She is convinced it is Donald Meissner, the man who has haunted her memory since they both worked at the German Embassy in Tokyo during the war. He was the beast who tormented and persecuted people, sending them into the hands of the Japanese Military Police. She does not confront him at first but rather sets out on a journey of detective work to uncover this man. She is convinced he is posing as Donald Miles who somehow escaped retribution after the war. Her journey involves his wife, daughter and granddaughter, among others. 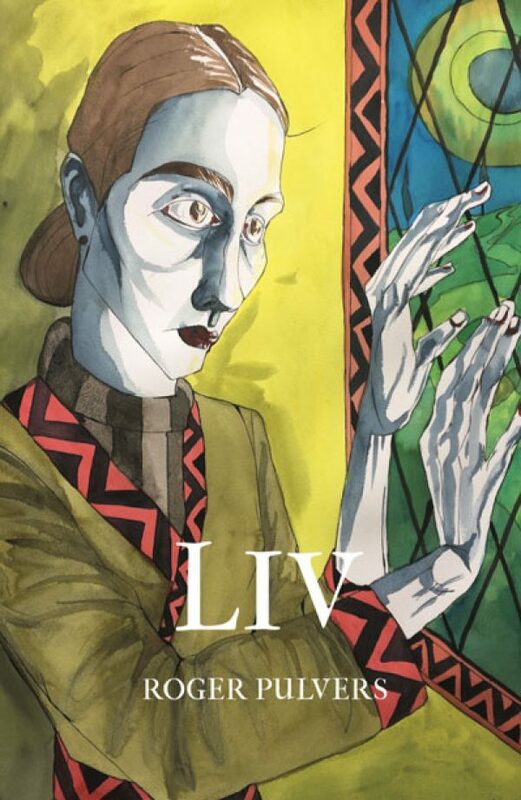 With flashbacks to wartime Tokyo that tell a tender love story between Liv and her German fiancé Martin (one of Meissner’s victims), LIV is a novel that probes the theme: How can one confront evil without becoming evil oneself? It is not until the end that we learn the truth about these two people – “Donald Miles” and Liv Bang (her real name) – and how the fates of all of us, however good or bad, are bound together. LIV is a personal detective story and thrilling historical mystery set in Australia in 1975 and Tokyo in 1945. But it tells a universal tale about how the past bears on our present … and future.